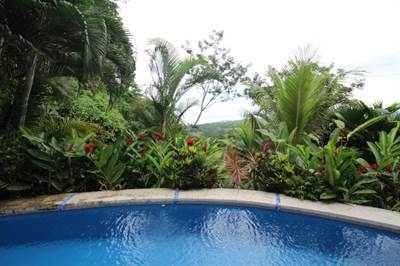 This is a super private, modern, spacious 4 bedroom/4 bathroom, ocean, mountain and jungle view home located in a gated community about 15 minutes (drive time) from Jaco, Costa Rica and only 1 hour to capital city of San Jose. This home is nestled into the middle lot of 3 side by side lots, all of which are included in the purchase price of this home. 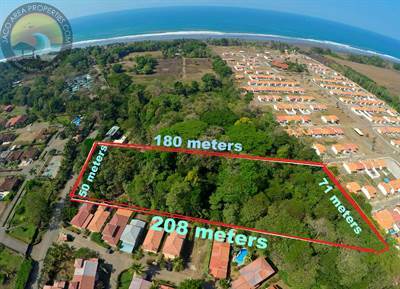 The total land size is approximately 16,500 square meters (4 acres) of jungle covered hills with ocean views. Each lot is separately deeded and titled and can be sold off if desired. Home was custom built under the supervision and design of North American owner, made with the highest quality steel reinforced concrete block and nestled into the hillside, offering a unique feel of blending in with the incredible nature of the area. Built in 2007 and is in excellent condition, and is sold WITH EVERYTHING. Spacious rooms located over three different levels of home offer incredible views and plenty of privacy with 3841 square feet and all the amenities for a luxurious home (Jacuzzi tub, work-out room, balconies, walk-in closets). 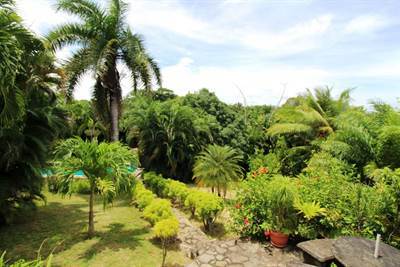 Outdoor features include your own private swimming pool with infinity views of the ocean and jungle, barbecue area and picnic area, as well as two car garage. There is also a common area for the entire community, complete with clubhouse and swimming pool and handsome main entrance located right on the main coastal hwy. Each lot owner pays 200 USD per month, per lot. Los Sueños Area Townhome in Herradura, Herradura Jaco is Sold! 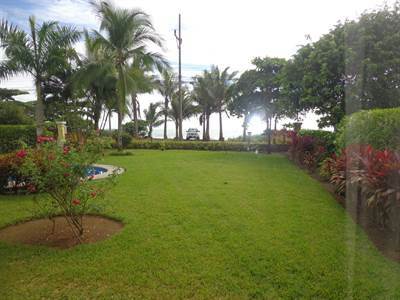 in Herradura, Herradura Jaco The bi-level at Los Sueños Area Townhome has been sold. 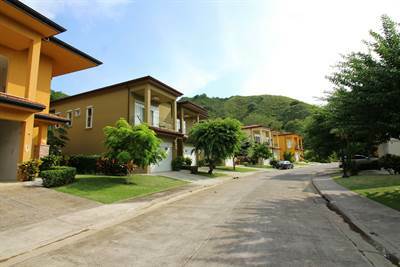 Posted on November 28, 2017 Author Jaco Area PropertiesLeave a comment on Los Sueños Area Townhome in Herradura, Herradura Jaco is Sold! King Casa! Esterillos Home w. Private Pool in Esterillos , Esterillos is Sold! in Esterillos , Esterillos The single story at King Casa! 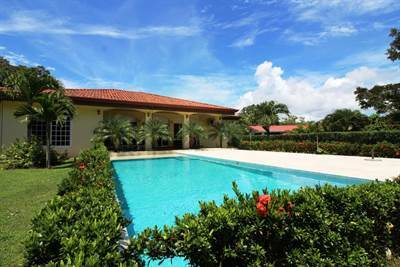 Esterillos Home w. Private Pool has been sold. Posted on November 28, 2017 Author Jaco Area PropertiesLeave a comment on King Casa! Esterillos Home w. Private Pool in Esterillos , Esterillos is Sold!